Hello everyone Oron here for The Vape Guide and today we have a quick review of the new Pulsar Flow dry herb vaporizer. The Flow is a portable vaporizer with a unique and innovative design, where the chamber sits away from the mouthpiece, similar to the design of the Firefly 2. 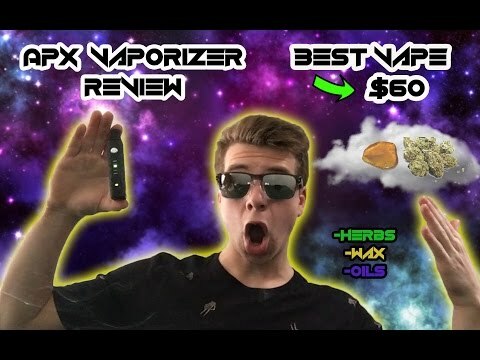 I included a link to the full review on The Vape Guide; I'll keep the page updated with the latest pricing information and coupon codes so check out the link in the description of this video. 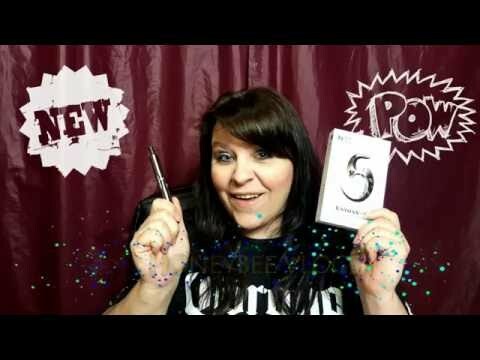 So Pulsar Flow Review lets jump right in. In the box we have- the flow vaporizer, extra silicone insert for the mouthpiece, charger, dab tool, cleaning wipes, and a quick start guide. The Flow is a portable dry herb vaporizer with a built-in 1600mAh battery. It has a micro USB charging port on the side together with the interface that includes one button and a few LED lights. The plastic mouthpiece sits on top and can be pulled out for cleaning. The chamber is located under this magnetic lid, and the flow has this unique and cool looking airpath with the Pulsar logo embedded into the body of the vape and the lid. So when you take a hit, the air comes through from this little hole at the bottom, into the oven, and then the vapor flows through the air path in between the body of the vape and the cover, down to this hole on top and into the mouthpiece. And to put that in contrast, I'll bring in two other vapes- the Pulsar APX and the G Pen Pro- in both the oven sits directly under the mouthpiece, meaning that the vapor has a really short airpath to cool down. The proximity of the oven to the mouthpiece sometimes make it hot and not comfortable to use. With the Flow, the oven is located away from the mouthpiece- allowing the vapor to cool down when traveling through this Pulsar branded airpath. To use the Pulsar, place ground herb in the oven and tap it gently. clean the remaining herb from the air path and close the lid. Click the power button 5 times to turn on, and the vape will vibrate and start heating up. Heat up time is 30-40 seconds, during which you can hold the button to switch between temperature levels. The flow has 5 temperature levels between 356F to 428F. Once the desired temperature is reached, the flow will vibrate again and show a green light. Inhale through the mouthpiece. The Flow was very easy to use and produced and nice amounts of vapor. The draw resistance was low, meaning it felt natural and easy breathing through the device. The flavor was better than most vapes in this price range. The Pulsar flow is a great beginners vaporizer. It features a simple interface, it's easy to load and use, and it produces good tasting vapor. For the $100 price tag, it's a no-brainer. It's nice to see that Pulsar stepped up their game with this vape, moving on to a more unique and innovative beginners vapes. It feels solid and comfortable to hold and use. As always, I included a link to the full review in the description of this video. We'll keep the review page updated with the latest pricing and coupon codes so make sure you check that out. If you found this video helpful, please click the like button and subscribe to our channel to catch our upcoming videos. Thank you all for watching. 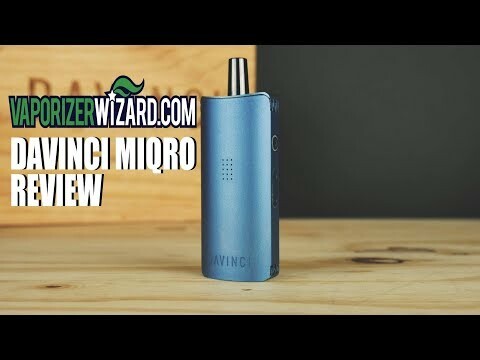 I included a link to the full review on The Vape Guide; I’ll keep the page updated with the latest pricing information and coupon codes so check out the link in the description of this video. And to put that in contrast, I’ll bring in two other vapes- the Pulsar APX and the G Pen Pro- in both the oven sits directly under the mouthpiece, meaning that the vapor has a really short airpath to cool down. The proximity of the oven to the mouthpiece sometimes make it hot and not comfortable to use. The Pulsar flow is a great beginners vaporizer. It features a simple interface, it’s easy to load and use, and it produces good tasting vapor. For the $100 price tag, it’s a no-brainer. It’s nice to see that Pulsar stepped up their game with this vape, moving on to a more unique and innovative beginners vapes. It feels solid and comfortable to hold and use. As always, I included a link to the full review in the description of this video. We’ll keep the review page updated with the latest pricing and coupon codes so make sure you check that out. Can you vape while charging at the same time? Herbal Vape with a dab tool ???? You wouldn't know if that vape is a conduction or convection vaporizer?